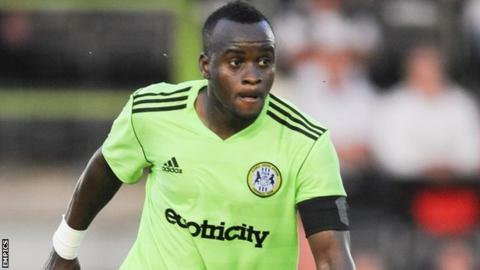 Forest Green Rovers have confirmed that Sierra Leone midfielder Al Bangura has left the club by mutual consent. The 26-year-old former Watford and Blackpool player arrived on a free transfer in 2011 and played 83 league games for the Gloucestershire club. Bangura, whose career also includes a spell with Azerbaijan side Gabala under then manager Tony Adams, had not played in a competitive match yet this season. He has two Sierra Leone caps, making his debut against Nigeria in 2008. But Bangura, who had a year left on his Rovers contract, has said he fears for his life in the country he was once forced to flee and therefore does not make himself available for home international fixtures.